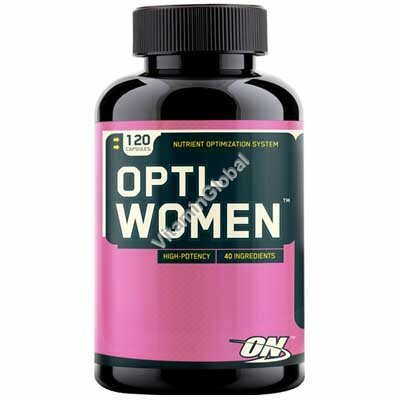 Opti-Women combines Vitamins and Essential Minerals with Ostivone, Soy Isoflavones and much more to create this all-inclusive women's formula. *Daily value not established. Other Ingredients: Calcium phosphate, gelatin, magnesium stearate, silica. Allergen Information: Contains soy ingredients. Warnings Check with a qualified healthcare professional before using this product if you are under 18 years of age, pregnant or nursing a baby, or if you have any known or suspected medical conditions and/or are taking any prescription or OTC medications.